After a long fought game of Conquest, you suffer a crushing defeat. You fought valiantly, but your jungler was Loki, so your whole team was obliterated while he split-pushed. Your frustrated teammates BM him. He replies: “U think ur so gud, 1v1 me m8s, u won’t.” But you have a secret weapon. You challenge him, everyone gasps. In the lobby, he chooses Loki. “Git gud scrub.” He laughs, but then you choose Bellona. Loki weeps sad tears. Hopefully now you're in the right mindset. Bellona is a fun god, and an aggressive god. She can however, be hard to fully understand for newer players, at least in a way that lets them consistently do well with her. 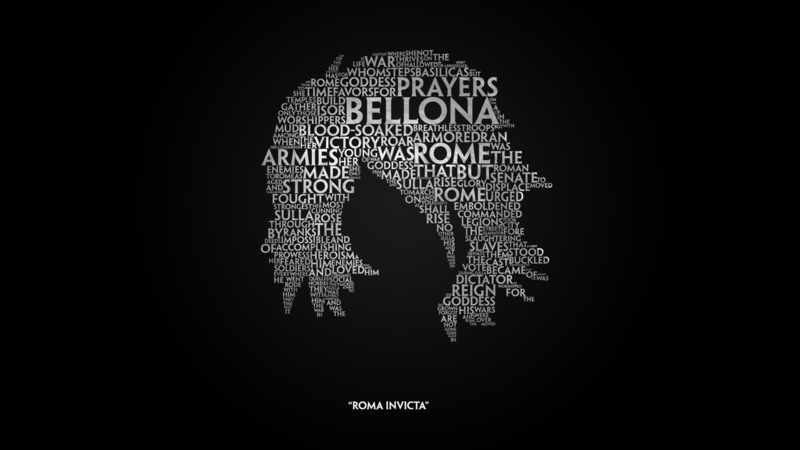 To fully utilize Bellona you need to understand the levels of complexity present in her kit. As a warrior, Bellona is inherently balanced between offense and defense, so item builds are extremely situational, and should be adjusted on the fly. 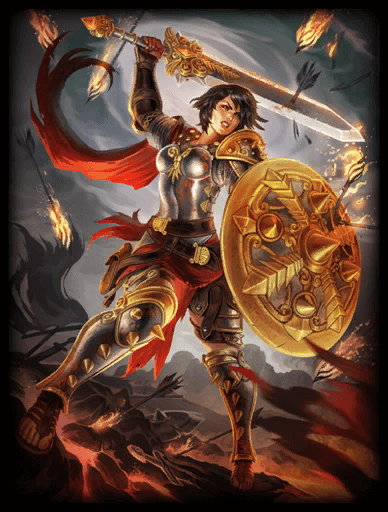 As a warrior with high base scalings, Bellona often utilizes power and cooldown-reduction. And yet much of Bellona's kit is focused around auto-attacks, from her passive to the quasi stance-changes she goes through after using her abilities. So what to build? Defense? Power? Pen? Cooldown? Attack Speed? Movement Speed? 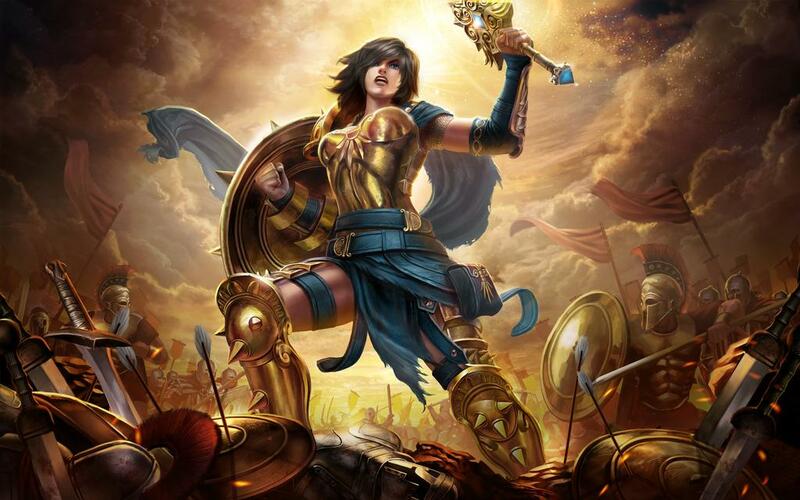 Can Bellona run Warrior-Support? What about Jungling? That is where this guide comes in. I will go into detail on everything you need to play the true God of War effectively. For those who aren't into the numbers, these mean that Bellona is tied for second highest natural hp and protections among all the warriors, losing out only to Hercules by a small margin in both categories. Your natural bulk will allow you to get away with slightly more aggressive builds in conjunction with the powerful scalings in your kit. This ability, as well as your 2 and your 3, will change Bellona’s auto-attacks significantly. The shield bash itself includes a dash followed by a cone that slows enemies, but more importantly, this will equip Bellona’s shield alongside her sword for the duration of combat, or until you use your 2 or your 3. With her shield, Bellona gains a stack of “block” for every three auto’s, and she can have up to three stacks of block. A stack of block will completely cancel out an enemy’s auto attack, including one’s they have boosted with stim abilities, making Bellona a horrifying matchup for many assassins who already feel a bit uncomfortable fighting a tanky warrior. *Super MLG tips: Much of Shield Bash’s utility is from its passive effect on basic attacks, which is why we only put a single point into it before leaving it for later. It has several situational uses however. The most obvious use outside of boxing is the short dash leading up to the bash animation. It isn’t much, but other than ulting this is Bellona’s only escape. If you are frantically dashing to cover under tower, and suddenly you sense a Ra snipe incoming out of nowhere, a well times Bash-Dash could save your life. When used offensively, don't forget to auto-attack-cancel! Bellona's ability to chain different slowing effects together is awesome, but after several auto-attacks in a row your opponent will have a good feel for your dps and will probably time their escape accordingly. Don't let them. Bellona's unique combination of auto-attack and ability playstyles lets her throw in a bit of burst to confirm kills. Canceling an auto into a shield bash that transitions directly into another auto over and over again will make the difference between a kill and an enemy who reaches the safety of their team. Bellona will spin her hammer around in a large circle, which powers up the slam at the end based on how many enemy gods she hits. The ability will passively alter her auto-attacks by equipping the hammer instead of her sword, thus allowing them to hit all enemy’s in Bellona’s auto-attack range. *Incredible Pro Tips: Why level this first? Waveclear. Whether in the solo lane or the jungle, this ability's aoe spin followed by auto-attacks that hit everyone is incredibly strong. Your clear still isn’t as good as that of a mage, but you beat most other solo-laners, as long as you know how. Minion waves in conquest have melee creeps in the front, and archers in the back. Archers are always your priority because they safely deal high damage to your own minions, so begin your spin about halfway through the frontline of enemy minions, and make sure you catch the final three archers before you grand-slam them away. The cleave will let you easily chew through any remaining minions, but beware, it reduces you get back from lifesteal. In Season 3 that made Death's toll a weaker alternative to Bluestone Pendant in some situations, but the new passive in Season 4 is not negatively affected by this cleave nerf. Abuse this. *warning* This ability is “channeled” meaning hard cc can interrupt your slam at the end, so when facing a warrior like Hercules, use your 3 instead until you can bait out his push. The more enemy players you are engaging at once, the more likely it is that someone will have a stun to stop your damage, so engaging an entire team with just your two is usually a poor choice. However, because your Bludgeon does so much more damage when it hits multiple gods, it can easily secure multiple kills on a weakened team. To get the ultimate off, aim to stun enemies with your ultimate before immediately starting to spin. The scaling goes all the way up to +150% of your physical power on top of the base 775 damage when hitting five opponents, which is absurd. Even against a single target this ability provides serious burst for securing a kill, and will serve you well against someone who isn’t so great at juking you under tower. 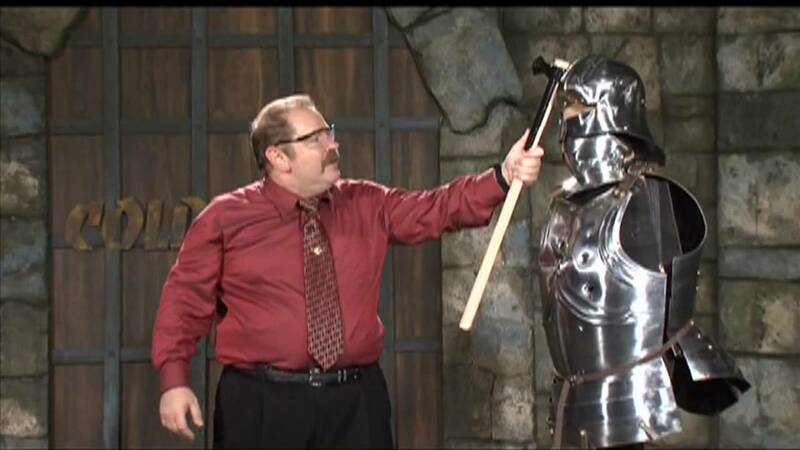 As a final tip, your damage is slightly higher on the first and third hits with your hammer in your attack-chain, so it slightly outclasses your other auto’s at taking down towers. Bellona trades her sword for some kind of terrifying razorblade-whip-mace that hits in a line and disarms her opponent (disables their auto-attacks) for 1.4/1.6/1.8/2/2.2s seconds. Afterwards your basics will have slightly extended range as well as providing a flat heal every three attacks. Tips (basically cheat codes): This one is a real multi-tool, with the most significant use by far being your ability to shut down the enemy ADC in a team fight. (hunter’s are broken late-game) Your main combo to shut down auto-attack based gods is 3>1>autos. Building up stacks of block while your opponent is disarmed is just cruel, and will cause many a Loki to flee in terror. In addition to alternative waveclear against gods with hard cc, Scourge autos can be used instead of Bludgeon’s in order to regain a surprising amount of health if you purposely miss the minion wave with the actual ability and only land basics, even more so with death’s toll. *warning* make sure your minion wave is taking the hits and no enemy gods are nearby before attempting to regen in the field this way. Scourge is most used in the laning phase for its awesome poke. It has better scaling then your other abilities in most scenarios, and it is highly annoying with a Bluestone pendant start (not currently meta). As for the extended range on your auto-attacks, if you can successfully kite another boxer using fatalis, please write me a Bellona guide, because that is seriously impressive. Theoretically the range boost is significant, and goes well with Scourge's occasional use as a last-ditch finishing tool for an enemy who is almost out of range. Eagle’s Rally: Bellona leaps through the air and does damage as well as stunning in a small area, by jabbing a flag into the ground which will provide a defense boost and increased power in a much larger area. 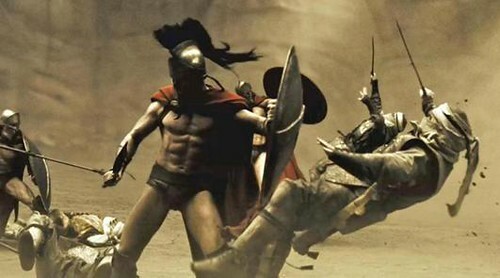 How to git gud: “ROMA INVICTA!” You just have to get used to that battle cry. Once you have your earplugs in, you’re going to have a ton of fun constantly diving the enemy under tower with this one. What could be easier than a damaging, stunning, power and defense boost with insane range? People are lazy with backing in smite, and the most free kill in the world for Bellona is on someone backing behind tower with low health. As always be extremely careful if you’re only level five, as an enemy having to back is still a victory in the solo lane, but more often than not if you get a kill before first back, it will be because of this ability. Dive, Dive, Dive. Lategame you are very relevant in teamfights because of this ability, but make sure you inform your teammates before you initiate. Bellona is usually not tanky enough to be the main front-liner for a team, but by coordinating with a support you can make everyone last a lot longer. For example, Bellona Ult>Geb Shield on Bellona>Bellona Disarming the enemy ADC>the rest of Geb's kit is a combo that should buy your backline enough time to kill the enemy most of the time. In moments of panic, Eagles rally can easily be used to escape by jumping over the jungle wall. Do be careful not to hit the fire giant. If you are fighting Odin, save your Ult for making his irrelevant. The best way to use Bellona's ultimate in a 1v1 is offensively and defensively at the same time. If you can consistently ult to dodge your opponents burst and then also land on them at full health, you are going to rank high in duel. Passive: Master of War is builds up to five stacks of defense and speed when you auto-attack enemies and when they auto-attack you. This is the other, other, thing that makes Bellona a fantastic boxer. The passive doesn’t require much micro-managing, as long as your playstyle is consistent with Bellona’s desire to constantly be hitting things. Combine this with your Shield-Dash’s slow, and if necessary your ult, to chase people endlessly. You will make Sobek players jealous. This is Bellona's most basic combo. Scourge is your best temporary solution to enemy auto-attacks, but your shield stance is your actual win condition, so use the time your opponent spends disarmed to build up stacks of block for free, resulting in a lengthy time that you are immune to auto-attack damage. When Bellona is initiating with her ultimate, your goal is to dump your kit on as many gods as possible and then trade places with your support. Aim for the backline, with Eagle's Rally, then disarm the ADC, slow the mage, and skedaddle. Results may vary, but as soon as no one is trying to cc you, get a bludgeon hit off. The weapon scales higher for every person you hit. The goal of this combo is to spook your enemy with bludgeon so they waste their escape, and then use your ultimate to catch back up with them for the kill. In a teamfight the ult should come first to provide bonuses for your teamates, but in a 1v1 you should use it like this to chase down your enemy. After the stun, you can use your 1 and 3 in either order, but i like to start building block stacks first, and save the Scourge's range for an emergency secure. Before I go into more detail, I'd like to recommend a resource for newer warriors that I still find helpful to this day, Raynday Gaming's "Top 5 Ways To Become a Better Warrior in SMITE"
-Here you are building to win the solo lane. Sustain and Defense are important early, followed later by your damage and teamfight utility. Build a defensive item appropriate to your lane opponent; if they are magical, use Ancile over Breastplate of Valor, for example. -In Joust you are building to work well alongside your two best buddies, and Frostbound is often picked up sooner, but the overall build is very similar. Again, focus on countering relevant types of damage. -The Dual build is listed as a "prototype" because this build will be different every single time. Building defense is easy and effective in Dual because you are only countering one opponent at a time. Focus primarily on power and abuse the early game until you feel somewhat threatened. Death's Toll: DT is currently the meta starting item on Bellona, and it deserves to be. Death's Toll has a passive that activates every time you deal melee damage, so by using the cleave on your hammer, you can very quickly regenerate health and manna. Staying power is important in the solo lane, because every wave of gold that you get and your opponent misses puts you ahead. The biggest danger with this item is in overestimating it. You should still avoid sources of damage whenever possible. Bluestone Pendant: In my opinion, Bluestone Pendant is not worth picking up over Death's Toll at the moment, however it is helpful for certain types of builds. Anytime you aren't building Warrior Tabi, you won't be able to clear waves with your hammer for a while longer than a normal build, so you can use bluestone to compensate for your Reinforced Greaves/Ninja Tabi pickup. Warrior Tabi: This should be your pickup the majority of the time. Bellona has high ability-damage scalings compared to some other warriors, so forty power makes a noticeable difference in your ability to clear waves and secure kills. Ninja Tabi: This item is back in meta! The attack speed reduces the time you spend slowed from start to finish of an auto-attack, and having extra mana on these boots makes up for not choosing Breastplate of Valor, see the Deathwalker Build. Frostbound Hammer: Considered a staple on Bellona, this item boosts your kill potential and your team-fight utility. if your opponent is a god without an escape like Ra, then the first hit you get off is usually their death sentence. Combined with the slow on your Shield Bash, Bellona can chase people down entire lanes. The item doesn't provide much power or health, but both of those stats are useful in any amount, and help the item fit into the majority of situations. Hastened Fatalis: This item is not as good on Bellona as Froustbound Hammer, but it fills a similar role. By removing the self-slow on your auto-attacks while also providing movement speed, attack speed, and penetration, it allows you to run down and slay people, but only you. Frostbound Hammer slows someone for your whole team to finish off, but Fatalis only speeds you up. The item can still do well on auto-attack based builds, but thrown onto most Bellona's it is likely to get you killed out of position. It has the most merit if you are a player with good jukes and aim, and while you are boxing with your Scourge, because you could theoretically kite people outside of their auto range. Jotunn's Wrath: This item does really well on ability builds for obvious reasons. Bellona tends to be manna-hungry when she doesn't have her blue buff, so she can make good use of every stat on this item. Combined with Breastplate of Valor you will max out your cooldown reduction, so some players will build it immediately after a defensive item in the solo lane. If wanted to ignore auto-attacks for whatever reason you could replace Frostbound this, and then take out othe items like Qin's Si's and replace them with power. (See my Ability Build) This is questionable however, as Bellona is an exceptionally boxer, and ignoring half the strength of her kit is a waste of potential in my opinion. Titan's Bane: Providing percentage penetration, this item is stronger against tanky opponents, and less useful against opponents with little or no defenses for whom +15 flat pen would strip much more than 30% of their total defenses. Titan's bane is usually considered to be ability-focused, at least when compared to your other major option ( The Executioner), because the 30% penetration is active all the time (such as the moment when an ability first connects) and does not need require auto-attacking to prime your target, although it certainly works with auto-attack damage as well. The Executioner: If you are a squishy without a good escape, you would much rather Bellona be running Titansbane. The Executioner will likely strip every bit of protections you have, while also significantly increasing her attack speed and leaving you vulnerable to the rest of her team because protection shred leaves you vulnerable to all physical damage. However, this item creates several challenges for Bellona. The biggest problem is that Bellona loves to initiate fights with abilities such as her ultimate or disarm, and in fact her kit hinges on her using an ability first to switch to the proper stance. With Executioner as your only pen, your first ability will never do as much as it could have. Furthermore, to really make use of the attack speed and shred, an auto-attack build will also want Qin's Sais, which makes for a terrifying build, but one without many slots left for defense. Qin's Sais: The bonus damage from this item is not true damage, so it is effected by enemy protections. That doesn't mean it isn't good against tanks, of course damage based on their health is good, it just requires some kind of pen as well. This item can be used without other attack speed items on a more balanced build to still significantly improve your damage output, but on a really offensive auto-attack build it is king. Ichaival: This is your item for boxing physical lane opponents. The bows are usually seen in Duels, but rarely in conquest on Bellona, however a lot of SPL games have featured a Bellona running this item, so it is worth noting. By stacking power stolen from your opponent while also stacking your passive you receive increasing benefit from boxing the longer it goes on. Against a power-based god it may be non-ideal, but if you ever face a Ravana, an Erlang Shen, or a hunter, it becomes very useful. I like to build around my lane opponent first, but every Bellona will need to fight the enemy hunter eventually, so it's never a bad choice. Silverbranch Bow: ...Unless you're laning against a magical god. Then Silverbranch Bow is better. Season 4 brought us new toys! This bow will strip magical power the same way Ichaival robs physical power, so depending on the situation, it can be very helpful. Normally Silverbranch is not as relevant because even if your opponent is a mage there will still be a hunter you'll have to kill somewhere, but against some team comps it is almost a necessity. If the other team is running a warrior, an assassin, a guardian, a mage, and Freya, then suddenly their teams damage has swung way over to the magical side, and guess who you're going to have to kill later? Please don't lose a 1v1 to a Freya. Your disarm basically cancels her stims and makes her irrelevant. Stone Cutting sword: Of the sword items, I prefer Masamune in the current metagame, but wow, this item is cool. It shreds protections to also provide you with protections, which meshes really well with your passive because you'll already be in the "hit things to be tankier" mindset as Bellona. The issue is that it's stats are kind of awkward. The +50 power is awesome for an ability damage build, but we've already established that having to land auto-attacks before using abilities on Bellona is clunky. (see The Executioner) As for auto-attack builds, you're probably already running Qin's Sais and The Executioner, do you really want to throw in another item that costs a lot while also limiting the number of true defensive choices you have left? The movement speed is not to be slept on however, as a Bellona who can juke and chase will inevitably get kills. If you know of an effective use for this, please comment, because I love the concept. Masamune: This sword is easier for me to recommend, although it's still not for most builds. Masamune provides health and both types of protections through its passive, which simply encourages yo to be in the fight, swinging your hammer around or whatever. Once again, +50 power and 10% movement speed are well-appreciated bonuses if not selling points. Transcendence: Yeah... I've never seen this pick work out well. An ability build could make the most use of this, and theoretically a huge spike in power and manna is perfect, but you'd also need a lot of pen and a lot of cooldown reduction on top of building defenses, which this does not help with at all. If you find a build that consistently makes it work in any gametype I'd like to know! Bellona has good enough wave clear to stack it, so it has always interested me. Crit Items: Please don't build these on Bellona. Maybe there is some hidden strat that I'm not seeing, but you need lots of attack speed and power, as well as multiple crit items to make one of these work, and then you're not doing your job at all. If you want to build like that, why not just use a hunter? MotV: This is actually a cool, meta thing to pick up right now! Starting with the item will hamper Bellona's clear and sustain, but the item counters Bluestone pendant very well, and pro players have actually been picking it up after boots as a second starter before going into Mystical Mail in some cases. (See the Deathwalker Build and Explanation). The important thing to remember is that starter items are more useful the longer you have to spend at a low exp/gold level, so while this item is a good pickup for conquest, it will be delaying your build for no real reason in other game modes. War flag: Ah, the warrior-support item. I don't recommend Bellona as a support in Conquest because I don't think she has enough cc or defensive items in the average effective build. She works better with a Guardian than imitating one. That being said, she counters hunters really well, and with an aggressive ADC she could potentially dominate early game. Unfortunately War Flag doesn't support a very high pressure start in my opinion, because it gives you an incentive not to last-hit minions while also not granting bonus gold. If you fall behind the enemy support early on, this will only make your struggles worse going into the late-game. Amusingly, this item is actually pretty useful in arena where starter items are not normally built. The sheer number of minions and the close proximity of teamates to receive its speedboost make War Flag a fairly decent pickup for a defensive Bellona in my opinion. Reinforced Greaves: These are usually not the right choice, but with the passive they gained last season they do encourage being in the middle of a fight, and combined with your passive you can stack up a lot of bonus defenses. The main issue is the difficulty of clearing waves with these boots, so if you do build them it's usually because you also went Bluestone Pendant, or you are playing as a support with warflag or something like that. Breastplate of Valor: This item is the classic warrior pickup after boots for a reason. You can simultaneously counter your lane opponent, be able to take tower shots, and gain the massive 20% cooldown reduction (half of your max) It currently has competition like never before in the form of Gladiator's Shield, which provides reduced defensive and cooldown stats, but with an interesting passive among other bonuses. Breastplate is the more conservative choice, but it comes with a very useful +300 manna. Hopefully you'll have your blue-buff most of the time, but Bellona can be a very hungry goddess. Mystical Mail: This item shifts in and out of meta, but right now it's in, after being used to great success by pro-player Deathwalker in a number of games. While Mail has much less protection than Breastplate of Valor, It comes with a large amount of health, which is generally considered a more beneficial stat early in the game, while also making you take magical hits better, especially when combined with a certain item that gives pure magical defense. Mystical mail's aura falls off later in the game, but it is particularly potent in helping clear minions, as well as for the fact that it actually deals magical damage, which your opponent will not be building defense for until later. The item carries a risk in that the ticks of damage will upset enemy minions, but this damage is reduced by Mark of the Vanguard, and will actually help you group up the enemy minions for clearing with your hammer. Somewhat of a hidden gem, Kusari provides you with high magical defense, cooldown reduction, attack speed, and some crowd-control reduction. Because it doesn't give you health like Bulwark of Hope does, I would recommend buying it alongside an item with defense and health. It also becomes more valuable the more your teamates rely on auto-attacks. Gladiator's Shield: As soon as I saw this item announced for season four, I got excited to use it on Bellona. For 25 fewer protections, 300 less mana and 10% less cdr than Breastplate of Valor, you regen 2% health and mana every time you hit an enemy god with an ability on top of giving +15 physical power and, perhaps most importantly, costing 600 less gold than BoV. 600 gold is a lot of farm, and having it back will let you go into Frostbound faster, or even pen to counter your opponents BoV. The 2% regen on abilities combined with Death's toll regen on auto-attacks will keep you in lane for a long time. Hide of the Nemean Lion: Is not CDR really worth it for a little reflection? Probably not in casual or even ranked Conquest, but it has been picked up in the SPL multiple times, and it is a crucial item for dealing with hunters in Duel. It even outclasses Breastplate of Valor in terms of sheer defenses with the crazy +80 that it gives. Midgardian Mail: Have you ever wanted to combine Frostbound Hammer and the spirit of Hide of the Nemean Lion into one defensive item that counters hunters with slows? It is a really niche pickup, and it doesn't give many protections on its own, but the +350 health is massive late-game and combined with Nemean's protections it will make you a huge pain to kill late game. It may do better against a team with multiple boxers in Joust, where you could focus on support while your teamates build for damage. Bulwark of Hope: Nothing about this item has specific synergy with Bellona's kit, but it has been so insanely good for so long that most builds will probably use it. High protections, high health, high crowd-control reduction, and an emergency health shield outclasses any other magical defense item in my opinion, and makes this item the ultimate middle finger to a mage trying to 1v1 you. Pestilence: Another slightly niche pick that is actually seen a lot in the SPL, Pestilence will give excellent magical defense and health while passively reducing all enemy healing nearby by 25%. That includes both direct healing abilities like Ra's heal, and even lifesteal from items. Such as hunters, who you are intended to counter. Perfect. Ancile: To me this item feels like the Gladiator's shield of magical items, giving less in the way of pure defenses, but with a little power, cooldown reduction, and an interesting passive. The silence promotes agressive plays against mages, such as diving backline with your ult, but do remember that you have to take magical ability damage first, so you are proabably getting hurt no matter what. Try to aim for something minor like Ra's circle. Genji's Guard: This item requires a fairly specific build to do well, but has potential. I think of it like a magical alternative to Breastplate of Valor in that it provides protections without health and tries to make up for it with cooldown reduction. Unlike BoV however, it only has 20% CDR, so building the two items won't allow you to cap, and having imperfect amounts of CDR defeats the purpose of building an item with a cool CDR passive in my opinion. Additionally, this item also requires you to take a magical hit to proc the passive. However, it can still be very strong in the right situation. If you are dueling a mage, then you can afford to ignore breastplate and focus on magical defense, and combining Genji's with Ancile and Jotunn's Wrath in the context of a power build becomes an option. Both items share the weakness of needing to be hit, so together it becomes less of a weakness. Hide of the Urchin: At full stacks, Urchin provides +65 in both defenses, as well as 250 health, and 250 manna, which Bellona fully appreciates. Although it has no passive at that point, it is still the best single defensive item in the game in my opinion, for a cheaper price than the Mantle of Discord. The problem is getting it there. While Discord has its +60/+60 all the time, Urchin requires ten kills or assists to stack. Not impossible for Bellona, even if you buy it later, but it can take a long time to reach its potential against careful opponents. It does well in arena or any gametype where teamfights are constant, and can help make up for a more aggressive build. Mantle of Discord: This is a lategame choice for when your current build isn't doing its job, and not one I would normally use. Mantle doesn't fit into most power builds because of its weird cooldown reduction %, but its huge protections and emergency stun make it a potential choice for an auto-attack build Bellona who has begun to fall behind. DO what you have to do to stay alive, but don't forget about all the rituals available to spend your extra gold on, they may bring more bang for your buck. Winged Blade: As utility items go, winged blade is awesome. Many characters pick it up simply for the passive against teams with slow-spam gods (like Bellona) as well as for the health, but Bellona can make great use of the movement speed and the attack speed as well. It isn't an item to use all the time by any means, (you need to many other stats) but if you feel threatened at all by slows, go ahead and buy it. Your job as a warrior is to do some damage, take some hits, and ultimately get out alive. Your opponents will do everything they can to prevent you from accomplishing that. Witchblade: An item made specifically to counter auto-attack characters? Sweet. Definitely situational, and I'd go for Hide of the Nemean Lion first, but against teams with an absurd ammount of attack-speed reliance it may be necessary. If you're playing against Kali, Freya, Erlang Shen, and Artemis you shouldn't have to put up with their nonsense. The season 4 early game is insane. Normally you will get a minion wave first, then fight over fire elementals, then get another wave, then get your blue buff before helping the jungler take the yellow buff, although you may go back to lane after the blue buff as well. Some players will also try to sneak fire elementals before even taking a wave hoping you will be at your buff camps first, but that is not recommended because of the delay on their spawns. Now you’ll focus on clearing wave with Bludgeon like I described in the abilities section. Once a wave is cleared, it is time to harass your opponent, either with Shield-Bash autos if they are an auto-attack god, or with Scourge poke on anyone else. Wait for your minion wave before attacking their minion wave, and I highly advise against diving tower before level five for obvious reasons. Your goal is to take no unnecessary damage, and once your blue -buff runs out, to conserve mana as well. If you get out-cleared somehow, cool. Bellona is well known for being able to sit under tower for an eternity (turtling), so combine your 3 and your 2 to wreck enemy minion waves before they can do real tower damage, and most importantly call your jungler over for a gank. (Be patient with your jungler, you are not their top priority) If you’re playing with a Nemesis, combine your ults for a free kill pretty much every time. Oh and try not to back until you can finish your boots, then teleport back in for maximum efficiency. Support and Mid-Laner are busy and unlikely to rotate over, but after you take that first tower, the jungler is coming for your booty and you should always use wards and save your ultimate for emergencies, unless you see the enemy jungler on your map (realllllly far away) and also see a free kill you could dive under that second tower. Some teamfights will most certainly break out here, and a good rule of thumb is to rotate whenever your lane opponent rotates, otherwise it is much better to stay and take their second tower than to let them waltz up to your tower while you are off chasing kills. If your opponent is nowhere to be found and the Mid-Laner yells for help then obviously you should provide it, but save your teleport to counter an enemy teleport. Going for Gold Fury is a bit of a stretch for Solo, but wherever a teamfight happens you should go, saving teleport just in case. Your ult greatly improves team dps and survivability. It is your job as a warrior, to help your support initiate, and to deal damage to the enemy, but not necessarily to chase kills when other squishier teammates could do the job themselves. You are not quite as tanky as you think you are, so by all means bounce in and out of combat, but know when to leave. If you can find this balance between finishing your enemies, and luring them into your teammates damage while you make a clean get away, then you are an expert warrior. At this stage it is also your job to ward Fire Giant, which is deep in your territory. If you keep your Mage and ADC alive, then you will probably win the game. I’m a poor teacher compared to experience, and the solo lane is diverse, with every class of god (even the occasional support) stepping in to fill the role. 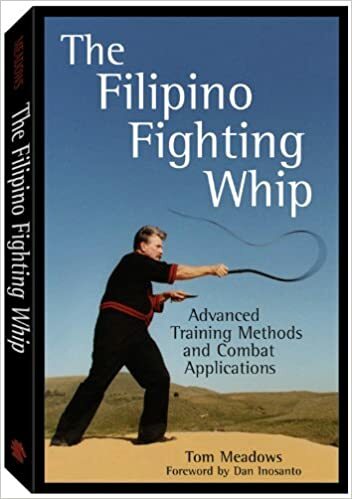 I’ll share my knowledge on some of the more common warriors. : Bellona: “Who’s the God of War now?” This is perhaps the most important matchup. Of course you will do well against the people who aren’t using Baellona, but what if someone tries to flex on you with your own main? Show them who’s the flexiest. The two tips that will give you the most bang for your buck are to remember your Scourge+ Shield Bash combo, and to win the ult-war by dodging her damage and then landing on top of her so that the enemy Bellona ends up stunned underneath her own flag while the defenses and damage boosts on your ultimates cancel out and you get free hits off. The first combo lets you build those block stacks, and encourages your opponent to switch into an inferior stance (for the duration of the disarm) for 1v1 boxing, specifically, the hammer stance. As for the ultimate-on-ultimate dodge, that trick will actually let your juke lots of people’s ultimates while you sail through the air. Just be aware that if you ever try to ult-dive another Bellona under tower or whatever, she can pull the same trick on you to bait out an easy kill. : Nike: Oh goodness, this one is so annoying. Nike has a lot in common with Bellona at first glance, cleave autos, interruptible, multi-hit clear, and strong teamfight ultimate. Upon closer inspection, they are more like opposites. If you ever wished you could tank a little more or actually initiate and escape on one set of cooldowns, then Nike is a strong option. She is essentially the defense to Bellona’s offense, and she’s really good at it. As Bellona, your only real escape is your ultimate, but Nike has a jump on her three in addition to having an ultimate that essentially guarantees her survival. You have more going for you than it seems though; Nike’s fatal flaw is the fact that only two of her abilities do notable damage, and one is her ultimate. If Nike’s ult is down, she can use exactly one ability before she has to resort to using auto-attacks on Bellona, which would be a terrible idea even if she didn’t also have lower attack speed on most builds from going into heavier defense. In a duel Bellona should just hold down left click in her shield stance and scare Nike away, but in a teamfight Nike can be a lingering problem while you and your teammates waste time trying to finish her off. Beware the counter-initiation potential in the slow that her ult gets, and stand by, ready to assist your teammates if she makes the first move. In lane, you’re in luck, because she has no way of interrupting your hammer spin, which will outclear her early on. If you accept that neither of you is likely to kill the other one and just save your ult for escaping hers then it will be boring at worst. : Vamana: Well, I had a section that briefly mentioned him, but Hi-Rez had to go and give him a new look, so now Aang here is pretty popular again. I won’t lie to you, Vamana can be a huge pain. His dash will knock you up and prevent your clear, so like when facing Hercules, you should try to hold it at first while you use scourge to clear and sustain. If Vamana uses his ultimate and you are alone, don’t even bother. If his ult is down, then you should save your ult for when he dashes, because you can actually stun him out of his ridiculously long dash, and at that point he is pretty much dead. Just focus on safe clear, and don’t underestimate the avatar. : Erlang Shen: Shen and Ravana are probably my top two matchups because they get it. Aggressive boxing is fun. There was a time when Bellona was outclassed by Erlang, but no more. His Pin is nerfed, and his Spot Weakness no longer provides the fatalis effect. He can still knock you out of your clar with his turtle form, and that is super annoying, but if you force him to use it like that every time then he is limited to mostly auto-attacks to box you. And you can fix that. Just be sure you never engage him when you’re both low; His taunt is an extremely lethal counter-engagement tool that will taunt you, buff his health, and then heal him. Tyr/Hercules: These two are similar in that they will both give you a hard shove whenever you go directly into your Bludgeon to clear wave, so I recommend Scourging with the Bluestone pendant, and getting some heals while you wait to use your two. Note the stance on Tyr, his blueish defensive form cannot push you, but is probably about to heal, so getting curse as your second relic is not a bad idea. Herc also has some good healing, and curse will let you kill him much more easily. Don’t go near Herc’s tower without minions or he will pull you, although I find juking him to be pretty easy. Neither warrior does an outstanding amount of damage to you, so just focus on chipping away at their towers when you can. Ameterasu: She is top tier in teamfights with her auras, but generally horrible at laning phase. You are almost equally top tier in solo, but amazing at clear. Huh. Punish her constantly, but be careful not to chip her with your Bludgeon while you obliterate her minions, or else you will power up her waveclear. Ravana: Ravana is also a very strong solo laner in the season four meta, but as a boxer he is kind of like a discount version of you, so beat him down whenever you can (using your 3 and your 1 for safety). Be mindful of his stun, heal, immunity, and ult. Actually his whole kit… he is good at preventing you from burst killing him. If the two of you are bouncing off of each other like bey-blades then of course call for support from jungle. Odin: Juking Bird bomb is the most important thing you can do, and easy because he will be aiming for center-mass of your minion wave. It takes him two abilities to clear while you use only one. In addition, his scaling is poor and your ult directly counters his. Bully him while he is on cooldown and you should have no trouble. Chaac: Heals, endless mana, obnoxious reliance on abilities; your best bet here is to quickly clear wave and then poke with Scourge, but do not directly engage unless you are totally sure you’ll kill, which is unlikely because his heal also slows. Your opponent will not win however, as Chaac’s auto damage is pretty meh as he usually builds a little tankier with no attack speed. Just be sure you’re in the correct form before he silences you with his ult and you’ll eventually push him back. Guan Yu: It is unlikely you’ll encounter the other, other, other god of war in the solo lane, but if you do, any assassin who isn’t named Nemesis probably doesn’t want to help you, so just focus on out-clearing his poorly-scaled abilities and taking tower. Do be careful about his ultimate. I have less experience with Wukong, and Osiris as they seem to be less popular at the moment, although they are all fairly strong. Don’t be too scared of Osiris because he isn’t a burst character. Finally, don’t expect to kill Wukong, but he won’t be applying a lot of damage to you either. Avoid his clone and try to force a retreat with your superior burstiness. Mages: Ability based gods normally deserve a poke and run approach, but mages are always trying to sit back and snipe, don’t give them what they want! Punish them for using such squishy nonsense in a lane for warriors. Fight a little closer to your tower if you can, they’ll out-clear you anyway, and you can’t kill them if they hide under their tower with their longer range. Luckily structures laugh at most mage auto-attacks. Hunters: Seriously? Just 3-1 combo and then kill them. The most annoying hunters I’ve had to deal with are Apollo and Neith with their respective escapes, but you can easily kill them if you save your ult to use immediately after their escape. Fret not, as with all squishy classes your jungler should be more than happy to come lend a hand. Assassins: If they are a boxer then why are you reading this? You know the 3-1 combo by now. If they are an ability-damage assassin ( Susano) then be very careful, but you should be able to out-clear and just sit tight and wait on occasional ganks, or moments of poor decision making on the part of your opponent. Pre-Game: Lots of normal threats have a hard time with a good Bellona player, which you are. As long as you don’t get banned yourself, you’ll be fine. I would however highly recommend banning Apollo, as he is just too safe for you in Dual. A sane person would also ban Kali, but the rest is up to you. Start: Your opponent will most likely be a hunter or an assassin in the current meta, which is perfect because you can bully them pretty hard. I recommend an aggressive start with Death’s Toll and Sundering Spear (HoG is not very good right now), followed by rushing the red buff, clearing wave, and then taking their blue buff. Bakasura may have other ideas, but if you're up against a hunter they typically only get the minis at red first, while you can fairly easily take everything with your cleave. Go. Directly. To. Damage. Buff. Don’t start with HoG when taking a buff, use it to secure safely. The average hunter or assassin has garbage clear early, so they have two options, stay and get disarmed, or run under tower. When you back, go for full warrior Tabi. If at any point you have the opportunity to ult-dive them for the kill, do it. In duel more than any other mode, the 500 gold for a first blood is a potential game changer. Mid: As soon as you hit level ten/eleven-ish, Bull Demon should be at around 4,000 health (subject to buffs/nerfs) depending on the time. If you have Meditation or Sundering Spear like a normal person, then wait until you get a kill, but if you’re a real player with that HoG/Wrath active, clear wave and go straight for the thing. Don’t start with HoG, get it down to a bit under 1,000 health and then use wrath to finish the kill so that it is impossible for your opponent to steal. If your opponent follows you, good. If you don’t have wrath kill them now while they have no minions and a long run before they could reach safety, if you do have wrath, even better. Stand behind the fire giant and they will most likely peg it with arrows from a safe distance, thinking they can finish with a more powerful burst than anything you have, for that last second steal. Use your hammer. In general, It is very important you finish the game before they get full build or your jukes might not be enough. Winning: For your build you should prioritize 1v1 boxing items, Ichival, Frostbound, and Nemean Lion for defense. The most important thing to remember her is to counter-build. As a warrior your adaptable build is always your strength, and that will serve you well in Duel more than anywhere else. If anyone has played more defensively and won a nice game of Duel I’d like to hear all about it, but from my experiences with various hunters and Loki, a strong early game snowball is the way to go. Chip away at towers anytime there isn't another buff camp you could be dropping. Start: Bumba’s Mask is your best friend when starting out and can be bought alongside Death's Toll for insane sustain, (although the speed from boots is arguably more important than DT's heals here.) Make sure to bring a few mana potions with you as you can be extremely mana-hungry early game when you don’t have your precious blue-buff. For your active you won’t be needing teleport the way solo does, so feel free to start Horrific Emblem or Heavenly Agility to secure kills. Don’t gank until you have your Ultimate, but abuse your tankiness whenever possible. If you can put the enemy jungler behind early game, your team will love you. For this reason, you may want your Shield-Bash at level three instead of your Scourge, although some heals as you clear a camp are great too. For the rest of your build, get Warrior Tabi, and get aggressive. Next I’d choose Frostbound Hammer for the health, cause we’re going mostly damage. Unfortunately, you probably won’t be getting the farm you’d need for my dream of Transcendence Bellona, but some attack speed and penetration are reasonable in the form of Quin’s Sais and Titansbane, at the same time (treat yo’ self). For defense Hide of the Urchin is by far the strongest item as you’ll be taking all kinds of damage (and hopefully getting all kinds of kills). Ganking solo lane will be pretty hard for you, but targeting the enemy hunter with your disarm is easy-peasy, and the support can’t do much about you. Big thanks to xZeroStrike for the "Spruce up your words! A Guide to BB-Coding," and to Nanoyam for "A Guide to Creating a Guide." And, how could I forget, huge thank you to Branmuffin17 for his multiple paragraphs of comments, constantly challenging me to improve :) Shout out to everyone who leaves a reply, I can't do it alone. 125530 Rated_Ex Would you make any changes for season 5? I literally just started playing smite on the PS4 and this guide has been VERY helpful. I don't usually play Mobas. I'm just a mythology nerd and saw this game had Bellona, my FAVORITE roman deity in roman mythology. Sooo... I hopped on and immediately died with Thor until getting Bellona and then dying some more. LOL. Anyway, thanks for the help. This is a solid guide from reading this a couple of times, but wouldn't having 1 dmg item be enough? Cause i feel like getting Titan's Bane as last item is just gonna make bellona more squishier, would getting shifters shield be better? 120597 TheFireRogue This is a solid guide from reading this a couple of times, but wouldn't having 1 dmg item be enough? Cause i feel like getting Titan's Bane as last item is just gonna make bellona more squishier, would getting shifters shield be better? Sorry for not replying for an insanely long time, there have not been major changes to the way Bellona is played since the last time I updated the guide, so I haven't been on here much :( But anyways, as much as I love the Ian's sais/ executioner combo, you aren't building nearly enough defense for hours, at least imo. Buying one defense item with no health for your fourth item is a little risky when you're landing against three other people, although your own team comp matters a lot too. I would recommend boots and then the preferred defense item before going into something cheaper than Exe, like maybe ichaival or silverbranch. It will vary with the matchup though, and I'm sure that if you snowball then your build will beat people down hard. 119759 Sobek-Ra Sorry for not replying for an insanely long time, there have not been major changes to the way Bellona is played since the last time I updated the guide, so I haven't been on here much :( But anyways, as much as I love the Ian's sais/ executioner combo, you aren't building nearly enough defense for hours, at least imo. Buying one defense item with no health for your fourth item is a little risky when you're landing against three other people, although your own team comp matters a lot too. I would recommend boots and then the preferred defense item before going into something cheaper than Exe, like maybe ichaival or silverbranch. It will vary with the matchup though, and I'm sure that if you snowball then your build will beat people down hard. I thought there was an urchin on the Deathwalker build. 117929 Terrencify I thought there was an urchin on the Deathwalker build. I've added it as an optional item, but the most important part of his build is the change to Health/Defense first, and then Magical Defense/Cooldown Reduction later, which is a totally different school of thought than what we've had so far, with Breastplate of Valor and Bulwark of Hope being the old standard. As a support-main when I'm not playing Bellona, I'm used to building Sovereignty over Breastplate of Valor for pretty much identical reasons (amount of effective health) so this core really made sense to me, so that's the part I chose to highlight. Hide of the Urchin is an awesome item, but it is a risky pick for some games, and is lacking the cooldown reduction of options like Spirit Robe. Dukesloth has a cool video about the new build and how the meta is changing, i recommend all Bellona players go check it out. I'll be updating the guide continuously as different strategies come into favor. 117933 Sobek-Ra I've added it as an optional item, but the most important part of his build is the change to Health/Defense first, and then Magical Defense/Cooldown Reduction later, which is a totally different school of thought than what we've had so far, with [[Breastplate of Valor]] and [[Bulwark of Hope]] being the old standard. As a support-main when I'm not playing Bellona, I'm used to building [[Sovereignty]] over [[Breastplate of Valor]] for pretty much identical reasons (amount of effective health) so this core really made sense to me, so that's the part I chose to highlight. [[Hide of the urchin]] is an awesome item, but it is a risky pick for some games, and is lacking the cooldown reduction of options like [[spirit robe]]. Dukesloth has a cool video about the new build and how the meta is changing, i recommend all Bellona players go check it out. I'll be updating the guide continuously as different strategies come into favor. Hey man love your guide but quick question did you know shield of regrowth works on her 3. 117868 Ace7299 Hey man love your guide but quick question did you know shield of regrowth works on her 3. I realized that it did after I criticized another Bellona player for using it haha. Personally I still don't think it's the best use of an item slot because of how situational it is, (have to build item, use ability, land three autos = temporary speed boost) but maybe there is some master build out there that makes it work. Right now I'm just excited to add the deathwalker build, because it's so hot rn. 117925 Sobek-Ra I realized that it did after I criticized another Bellona player for using it haha. Personally I still don't think it's the best use of an item slot because of how situational it is, (have to build item, use ability, land three autos = temporary speed boost) but maybe there is some master build out there that makes it work. Right now I'm just excited to add the deathwalker build, because it's so hot rn. Heyy, that's pretty good! She needs so many stats, it's been a while since I snowballed hard enough to get away with a good old fashioned Transcendence beatdown, but I'm glad somebody's doing it :) and glad to meet another mastery X Bellona player, glad you enjoyed the guide. 116930 Sobek-Ra Heyy, that's pretty good! She needs so many stats, it's been a while since I snowballed hard enough to get away with a good old fashioned Transcendence beatdown, but I'm glad somebody's doing it :) and glad to meet another mastery X Bellona player, glad you enjoyed the guide. Hey there! Just leaving a comment on an other wise real good guide. I main Guan Yu, and just wanted to comment that you may be underestimating him when it counts. He may not be able to lane clear as effectively as Bellona (I am well aware), but beware his 3 if trying to box him. He can easily chip away from your defenses and also heal himself just as well. I have yet to have a Bellona bother me too much. One question though, how do you feel about Xing Tiang? That guy is really annoying no matter who you are playing, just want to know your strats with facing him. Thank you! 116757 Stryker021 Hey there! Just leaving a comment on an other wise real good guide. I main Guan Yu, and just wanted to comment that you may be underestimating him when it counts. He may not be able to lane clear as effectively as Bellona (I am well aware), but beware his 3 if trying to box him. He can easily chip away from your defenses and also heal himself just as well. I have yet to have a Bellona bother me too much. One question though, how do you feel about Xing Tiang? That guy is really annoying no matter who you are playing, just want to know your strats with facing him. Thank you! Ah, a Guan player. I've actually taken quite a liking to him since I started playing with his Guan Unicorn skin (awesome) and you're definitely right about him being more of a threat than people realize, if you slow somebody, hit them with your whole ult, and then feed me into the ol' wood chipper, they almost always die. The issue with Guan is similar to what Xing and other Guardians face, which is that they are bulky and have a lot of utility, but if they want to kill someone in a 1v1 they have to pretty much go all-out and dump their whole kit, whereas Bellona can just outclear and then also bully them without committing to anything if she doesn't want to. I may have to write more about that matchup though, because him having most of his clear be ability-based is certainly annoying for Bellona. Anyways, sorry for the super-late reply, and I'm glad you mostly liked it haha. 116931 Sobek-Ra Ah, a Guan player. I've actually taken quite a liking to him since I started playing with his Guan Unicorn skin (awesome) and you're definitely right about him being more of a threat than people realize, if you slow somebody, hit them with your whole ult, and then feed me into the ol' wood chipper, they almost always die. The issue with Guan is similar to what Xing and other Guardians face, which is that they are bulky and have a lot of utility, but if they want to kill someone in a 1v1 they have to pretty much go all-out and dump their whole kit, whereas Bellona can just outclear and then also bully them without committing to anything if she doesn't want to. I may have to write more about that matchup though, because him having most of his clear be ability-based is certainly annoying for Bellona. Anyways, sorry for the super-late reply, and I'm glad you mostly liked it haha. Outside of those additions that I feel are needed (Especially Nike and Erlang, two pretty damn good Warriors right now), this guide is excellent. Keep up the good work! 116607 Swan Songs Hey there, made an SF account just to comment on this pretty solid guide. However, there are a few important Gods missing from your Match-Up list. I won't really discuss the matchups themselves and I'll leave that up to you, but Gods I think deserve a mention on the list are: -Erlang Shen -Nike -Camazotz (I understand he's an Assassin but I feel with how prevalent he is right now, he deserves a mention as well. Maybe alongside Thanatoast. Just my opinion) -Kuzenbo (Among other Guardian Solos that are more niche. I really don't even know if you should put him on here, I just think it'd be interesting to see your take on the MU) Outside of those additions that I feel are needed (Especially Nike and Erlang, two pretty damn good Warriors right now), this guide is excellent. Keep up the good work!